Academy Model Aeronautics - EVENTS! EVENTS! Click "REPLY" to POST YOUR EVENT INFO HERE TO BE ADDED TO THE "EVENT" LISTINGS. THEY WILL REMAIN HERE AND BE TRANSFERRED TO THE "EVENT" LISTS. Administrators will post on Event Listings. For help see first post in this thread. EVENTS! EVENTS! Click "REPLY" to POST YOUR EVENT INFO HERE TO BE ADDED TO THE "EVENT" LISTINGS. THEY WILL REMAIN HERE AND BE TRANSFERRED TO THE "EVENT" LISTS. Administrators will post on Event Listings. For help see first post in this thread. All Radio Controlled Airplanes and related equipment accepted. Come to buy and sell or just watch. Food and beverage for sale on site. This is an outdoor event, please bring your own chairs. South Shore RC Club 2018 Scale Fly In posted on event slide show and in Event listings. Trumbull Indian Ledge R.C. club of Connecticut announces their two float flies for 2018. These are their twenty second in a series of continuous fun spring and fall events. located off Dr. SILVERSTONE DRIVE, in MONROE, Ct., and the FALL FLOAT FLY IS ON SEPTEMBER 22, 2018, same place. The Lake and beach area are large enough for all types of float planes, and a retrieval boat is ready for mishaps. appreciated but not required, to offset the food costs. You may e-mail CD, Associate V.P. D. 1 Andy Figlar at figlar335@att.net with questions. Andy, these two events have both been listed in the District 1 and CT "Event" listing. If there are images or flyers please share them (or links) and they can be added. In the future please list all events separately as they must be created separately in the listing calendar. Thanks and have great events. Daren and the D1 team. Still only $2.00 admission. Public welcome. Come to buy and sell or just watch. Mark, Thanks for your continued support of our new resource. The more clubs and members we get using this site and all the resources available the stronger and more informed our district and hobby becomes. Your event has been added to the "Events" page under District 1 and under NH. I did make a slight edit to add the date and rain date to this posting. Again many thanks to you and the RC Aces for paving the way! Daren Hudson and the District 1 team. to be held on SUNDAY APRIL 8, 2018 at ZANDRI'S INN in WALLINGFORD, CONNECTICUT. Doors open for vendors at 8:00 AM. and the Public at 9:00 AM. There is a minimal entry charge. Contact DENNIS KEEGAN, CD, at 1 ( 860 ) 322 - 2102 if you want to rent a table or for more information . Hot FOOD is available throughout the day ! Andy are there flyers for these events or are there links to flyers? If so you can upload them. See the event promotion blog under chat/ blogs. Thanks. Otherwise Andy A or I will put this in event listing as text. Andy, This event has been added to the "Event" listing for District 1 and for CT. It has been listed in text form only. If there is a flyer (pdf or jpg) a link can be added here and the jpg flyer can be added to the home page slide show for added exposure. 27th Annual R/C Auction, Billerica Mass. Billerica Lodge of Elks, 14 Webb Brook Road, Billerica Mass. Registration starts at 10 a.m., Auction starts at 11:00 a.m.
Come to the 2018 edition of our long-running R/C auction event! Come to buy or sell! Auction, small items tables, raffles, door prizes, food and drink available. Daren, please note that on the Events listing you have this even in February, but it is this coming Sunday, January 28th! Jeff, I’m so sorry. All set now. Oops. Too many balls in the air. Have a great event. Again, thanks for using the resource. Please pass the word. 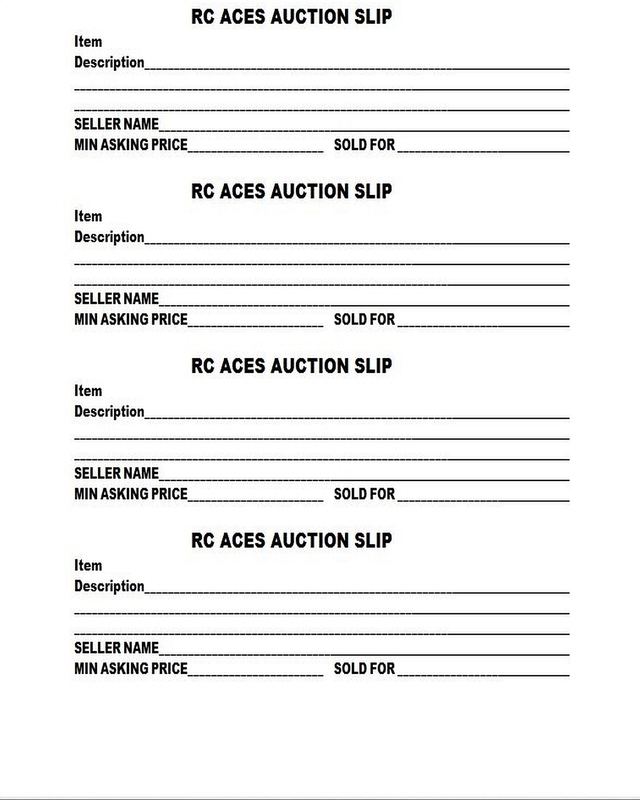 107th RC Flyers "Grand Old Auction"
Doors Open at 10 AM, Auction Begins at 12 Noon. 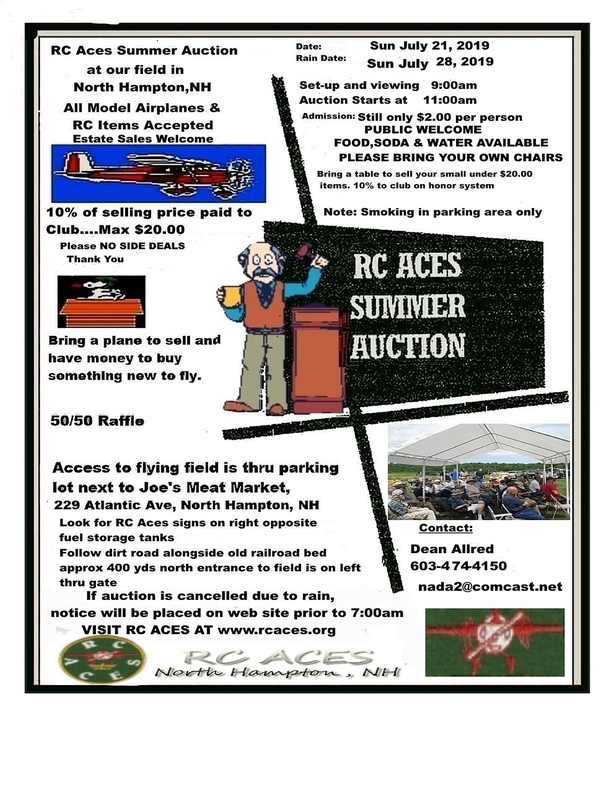 Lots of RC Planes and Equipment, Great Deals, Prize Raffles, 50/50. Posted on EVENT listings for District 1 and MA. Good Luck 107th.